It has been a rather eventful year for TECH cocktail, a community building media startup, that I co-founded in 2006. We are wrapping up another year with two more TECH cocktail events one in DC on Thursday, December 3rd and our final 2009 event in Chicago on Thursday, December 10th. We have some great sponsors like Intel and Winamp and more and about 20+ never before seen start-ups showing off their products or services in an expo style. Wow, these events will be our 10th and 11th events this year. 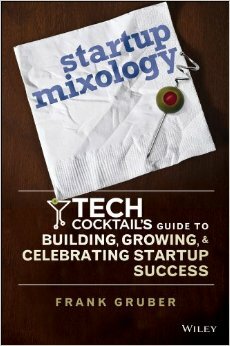 Hope you can make it to DC or Chicago for one of these events - tis the season to TECH cocktail. With Thanksgiving and the holiday season fast approaching, it is a time for reflection and gratitude. I thought it would be the perfect time to share with you a product I have been working on which is focused on spreading happiness through gratitude. Personally, this year has been full of change which is sometimes tough to handle, so "feel good" projects have helped me to focus on the good things in life. With the help of my partner Jen Consalvo and our agile development team I recently launched Thankfulfor.com, a social online gratitude journal providing a forum for expressing gratitude routinely as a foundation for happiness and well-being. People come to the site and post what they are thankful for to their personal journal of thanks. People can also choose to send each Thankfulfor post to their social network on Twitter (each post starts with the #thankfulfor hashtag) extending the good vibes far and wide.